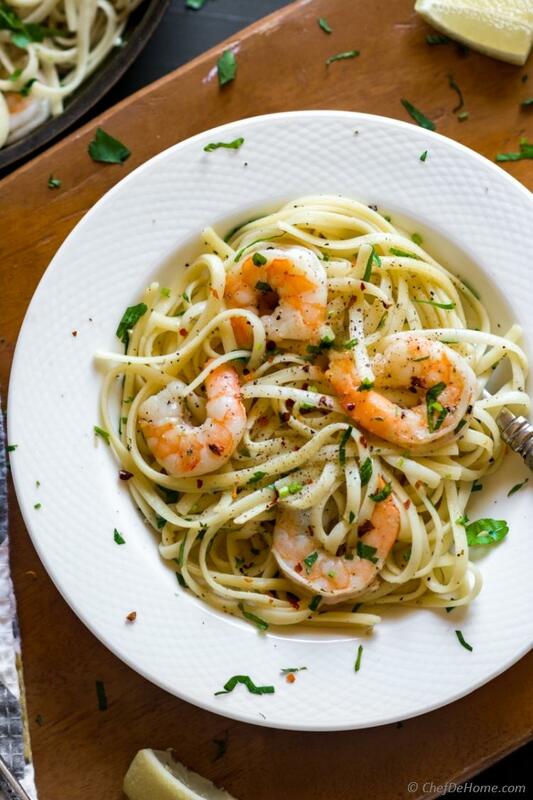 Linguine coated in buttery Garlic and Wine Shrimp Scampi sauce for a 25 minute weeknight pasta dinner! Thanks to Heston for providing stainless steel pan for making this Shrimp Scampi Linguine dinner. 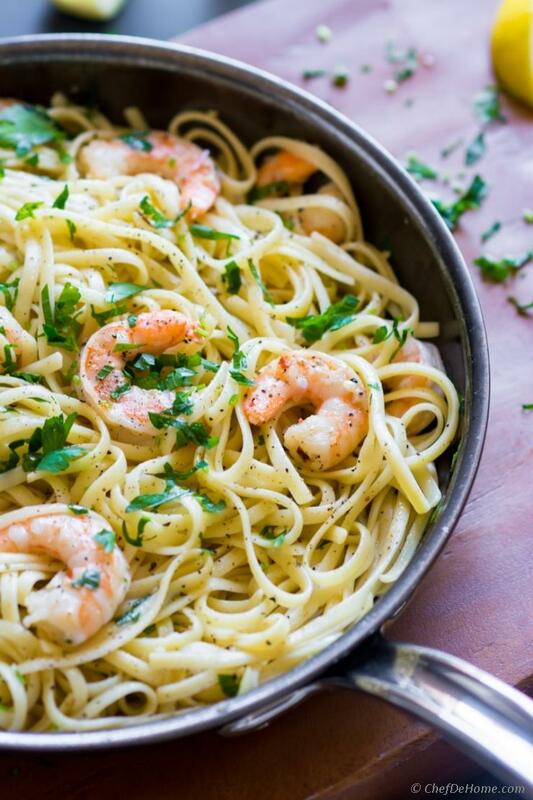 Garlic Shrimp Scampi Linguine, a garlicky lemony Shrimp and Pasta recipe which has weekday dinner written all over it. For dinner last week, I cooked linguine pasta, coated it in garlic, wine and herb butter scampi sauce.. and dinner was ready! However, honestly, when Scampi Sauce is served with pasta... it often looses it's delicate taste. So, today I decided to fix that. I'm sharing few of my favorite simple tips to ensure a bold flavor Scampi Sauce even after being coated in hearty linguine pasta. Grab a glass of wine, (save some for scampi sauce), and let's get cooking! Today's Shrimp Scampi pasta recipe was ever easier to prepare with Heston Nanobond Stainless Steel Skillet. I recently teamed up with Hestan to bring to you some of their latest cookware. Like this Stainless Steel Skillet which stole my heart since I cooked in it first time. One of my favorite skillet so far, this skillet is made of thick ply steel, 4x harder than regular, which disperse heat very evenly. Even heat means even cooking. You can see in the video of Shrimp Scampi below, the shrimp had an even sear even when I used frozen shrimp straight from freezer to the skillet. I also loved the large cooking surface. One pound pasta, 14-15 pieces of jumbo shrimp and sauce.. all was done in same skillet. The cookware is available for sale in Sur La Table stores. Please do check it out! First, let's discuss the Scampi Sauce! Shall we!? 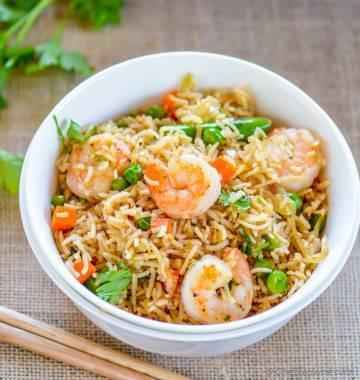 Scampi Sauce is soul of dish when you serving shrimp scampi with pasta for dinner. Scampi sauce recipe is very easy and need very basic pantry ingredients.. However, when served with pasta, often this sauce looses it's flavor. Sauce may look too much but noodles style pasta such as linguine needs more sauce. Sauce gets thicker as it sits and a lot of it absorbed by the pasta. So, I increase *quantity of sauce by adding 1/2 cup of chicken or shrimp stock. This not just increase the quantity of sauce, but adds more flavor. If possible, prefer shrimp stock over chicken stock. *For reheating leftover pasta, I reserve a cup of pasta water around. 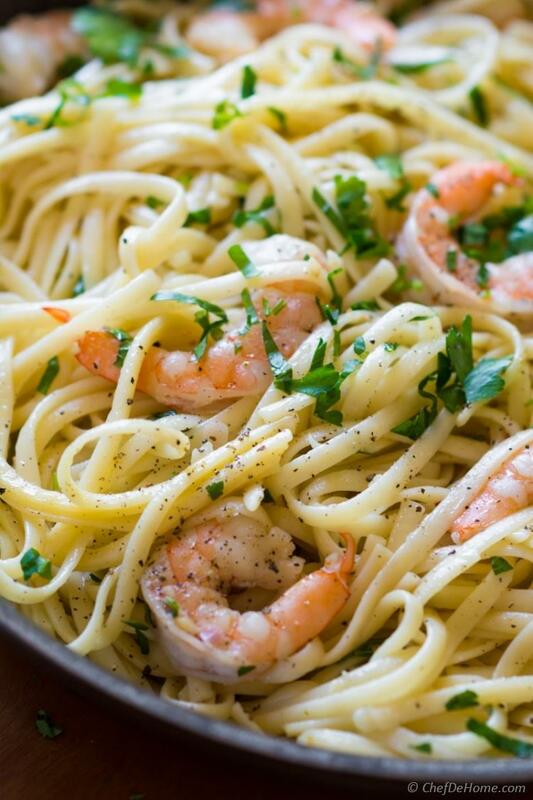 This is one of the important aspect of serving shrimp scampi with pasta. with pasta, sauce needs more body than when served as a side. To *flavor the sauce, I cook shrimp with tails on or ask butcher to not discard shrimp shell and I bring those home. 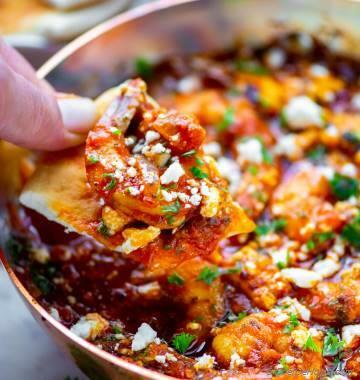 When shrimp shells are saute in butter, garlic, and herbs.. it adds lot of additional flavor to the sauce. I find this trick also most cost effective. I mean, bringing tail-on shrimp does not cost any more than tail-off. You can serve it as-is, or trim tails after cooking shrimp in garlic-butter sauce. *You can also fortify sauce with some clam juice. Herbs like I used fresh chopped parsley, and fresh chopped garlic make all the difference in flavor Shrimp scampi pasta sauce. So, please don't skimp. and generous splash of lemon before serving. I suggest, serve a lemon wedge on the side. Lemon goes good with garlic and both taste amazing with seafood. Last, but no way the least, use good quality drinking wine. A good quality wine will make a simple shrimp scampi worth Italian quality meal. (and, yes, please enjoy the rest with dinner!) Follow these simple steps above, and this recipe will be your favorite Weekday Dinner recipe, all summer long. 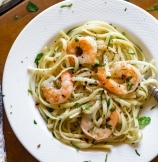 This garlicky shrimp scampi linguine has been often on my dinner table. Who does not love a 25 minute dinner promise? Ask me, I adore it! :) Oh, and save leftovers for one more day. Refrigerate, reheat with some reserved pasta water for second dinner. Leftover pasta will also make great Italian Frittata hint hint. 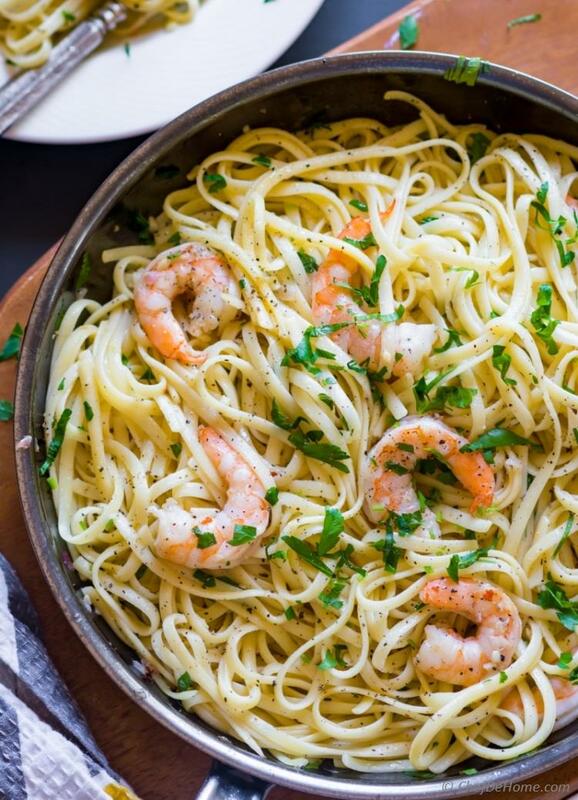 Let's make this pasta and shrimp for dinner tonight. For you and you only, I'm also bringing a video on "How To Make Shrimp Scampi Pasta". A side of green salad will make this a complete meal. Total Time 25 minutes Prep Time 10 minutes Cook Time 15 minutes Difficulty Easy Yields 1 Pound Pasta Serves 4 Notes 2-3 Main or 4-5 Side servings. 1. Cook linguine (or whichever using) pasta according to package directions. Once pasta is cooked, drain and set aside. 2. Heat oil and 1 tablespoon butter in a heavy bottom saute pan. Add onion and garlic with generous pinch of salt, and chili flakes. Saute until onions are soft. Make sure garlic does not burn. 3. Add in shrimp (tail on, if using), season with salt. Saute until shrimp is no longer opaque (turn halfway to ensure both sides are bright orange in color), remove in a plate and set aside. 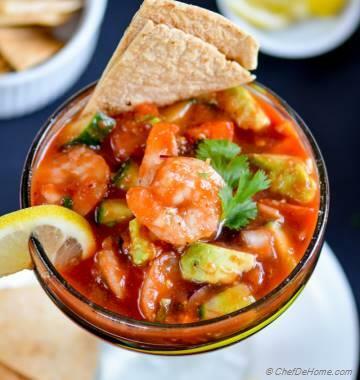 Trim tails from cooked shrimp or serve as-is per your preference. 4. In same pan, add white wine, lemon juice, with chicken stock and boil mixture until 3-5 minutes or until most of alcohol from wine has evaporated, and mixture has picked up flavor from sauted onion, garlic and shrimp. Taste and adjust salt and lemon juice (if needed). 5. Turn heat to medium-low, stir in remaining butter, heat until just melted, return shrimp back to pan with cooked pasta. Top with generous pinch or two of salt and black pepper, and chopped parsley. Toss to coat pasta in shrimp scampi sauce. Serve immediately with side of more lemon wedges. Enjoy!